The year that Andy and I got engaged, he agreed to join my family in New Hampshire for Christmas. My family is huge and disjointed, however, so he would only be meeting three sisters and my Ex-Stepmother. A week before Christmas, I spotted the ultimate in Yuletide perfection. A neon green headband with furry moose antlers that LIT UP with red and green lights. I pounced. That night, I showed Andy my prize. “It gets better!” I pressed a button in the middle of the headband. “I do.” The light show faded and I carefully packed the Vegas Yuletide antlers away. We weren’t married yet, so I didn’t tell my fiancé that he was wrong. I just smiled and closed the suitcase. She was totally going to wear those tacky antlers. And like them. My mother was crap at many, many things. Family planning tops that list, followed by planning of any kind. She was chronically late. Her homemade Halloween costumes never survived more than an hour. We arrived at Easter egg hunts 5 minutes into the hunt, when the eggs were all taken. But there was one holiday at which my mother excelled – Christmas. She organized neighborhood caroling parties on Christmas Eve. They were potluck, ensuring that other, craftier, more competent mothers would bring gorgeous cakes in the shapes of Christmas trees, or elaborately frosted sugar cookies. I have the best memories of those Christmas Eve parties. We’d strategize over song selection as we trooped down the block: did the house have kids? “Rudolph” or “Frosty the Snowman!” An older couple? We would bring them to tears with “Silent Night,” especially with the youngest, blondest, sweetest-looking girls in the front row. They’d be so overcome, they might pass out fudge. Then it was off to bed for a sleepless night spent listening for sleigh bells and Santa. But on Christmas, Santa nailed it. Whatever we were yearning for, we got. Train sets, video game consoles, a giant panda? We found them by or in our stuffed stockings on Christmas morning (along with the useless, ubiquitous orange that none of us ever ate). I suspect my wealthy grandparents often helped Santa out. Yes, our Christmases were magical. Even after our parents divorced, my mother kept the holiday special. We sang Christmas carols in the car as we shuttled between houses. We strung popcorn on the trees. We “borrowed” holly from the Lutheran church down the street and tied it to our bannister, never mind that it skewered anyone who actually had to grab the bannister for support when descending the stairs. Future Brilliant Blonde Lawyer Sister and I snuck gifts into each other’s stockings in the weeks leading up to Christmas. My mother even borrowed some magic from J.R.R. Tolkien when necessary. And then, when I was 14, our mother died. Our Future Ex-Stepmother tried to keep the holiday special. She had Christmas Eve parties. She played the guitar and we sang. She made far better cookies than my mother ever did, and she made a ton of them. We got lovely presents. To no avail. We were miserable, angry Scrooges. For many, many years. Because Christmas was when we missed our mother most. And not even Future Ex-Stepmother’s fabulous spritzes could fill the hole. But time made the pain bearable. The memories of our happy Christmases became more sweet than bitter. Especially for Brilliant Blonde Lawyer Sister and me. We made sure we were always together at the holidays, and we gave each other silly gifts — the more ridiculously Christmassy, the better. One year, I bought her a Santa hat. The next year, she bought me one with glitter (I vacuumed glitter up for weeks.) I retaliated with a truly garish sparkly orange “Tigger” hat from Disneyland. I didn’t think Brilliant Blonde Lawyer Sister could beat Disney for tacky, but she showed up with a spring-loaded reindeer antler headband with jingle bells the following year. When I wore it, she laughed until she snorted. She was sure I could never top her headband. So was I. Until I found the Vegas Reindeer Antlers. 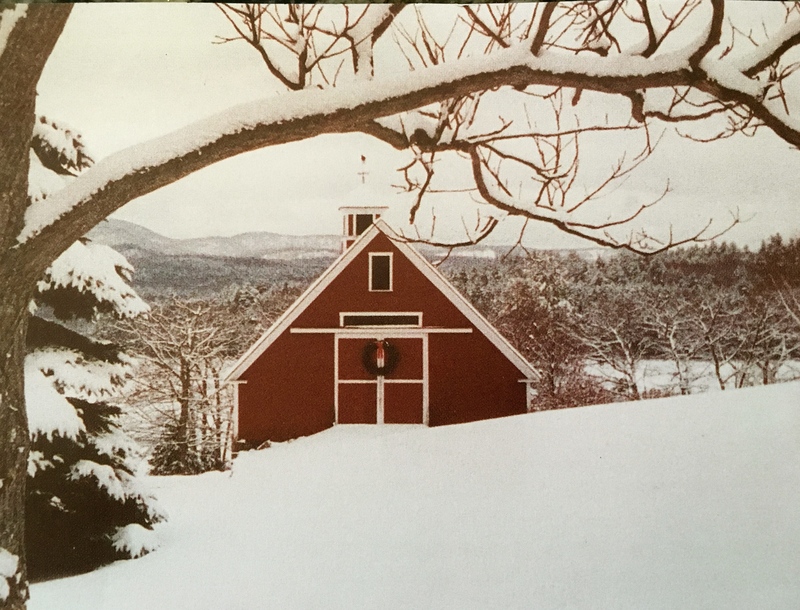 It was Christmas Eve in Nowhere, New Hampshire. The snow was deep, the carollers were assembled. I held a bag. Maggie, Ex-Stepmother’s best buddy, handed out drinks with one hand and sipped on her own with another. A few kids chased each other around the house, pretending the caroling candles were guns. Brilliant Blonde Lawyer Sister stood by the door. Her boots were Italian leather, her coat was expensive wool, and her scarf was cashmere. I tapped her on the shoulder. “Guess what I got you!” I sang as I reached into my bag. Andy, who had met Brilliant Blonde Lawyer Sister that morning, shook his head and mouthed, “Never” at me. I pulled out the Vegas Antlers. Her jaw dropped in a thoroughly gratifying way. “But wait! There’s more!” I carolled, and hit the button in the center of the headband. The lights went crazy. I shook my head. “Sorry guys, this is a very special Christmas present for my sister.” I handed over the antlers. “About a minute,” I told her, in between chortles. “Then you have to hit the button again!” I demonstrated by smacking her in the head headband. It was too much for Andy. He laughed until he cried. And then, as he wiped the tears out of the corners of his eyes, I reached into my bag once more. I pulled out a second set of Vegas Antlers and offered them to Andy. Andy gave me a betrayed look. He made no move to take his antlers. So I turned them on and put them on his head. He stuck out his lower lip in his patented sad pout. Brilliant Blonde Lawyer sister cracked up. Maggie turned just in time to see pouting reindeer Andy. She spewed a mouthful of alcohol all over the candy kids. They shrieked and ran. That night, every time Andy looked at Brilliant Blonde Lawyer Sister’s headgear, he would laugh. She would reach over and smack his headband so his lights lit up. Andy would pout, then smack her headband back. In fact, they repeatedly smacked each other’s heads as we carolled our way through the snowy streets of New Hampshire. Their festive headgear undoubtedly netted us some extra fudge. And at one house, a guy even tried to give us money (though it might also have been a bribe to get us to go away). …that it was truly a Merry Christmas. Lovely story. Thanks for sharing. You are welcome! Merry Christmas to you, and may your Christmas headgear always be so tacky it is funny. I love goofy stories like that. That is the true spirit of Christmas (and siblings!). ISn’t it just! Thank you, Kate! Love the competition for tackiest headgear. Lol! Merry Christmas! Wow you actually went around caroling? And you still do? I’ve never done that ever!!! (Or even seen it!). Maybe it’s an east coast thing? Have you seen that in LA? Sniff, your story had me tear up… especially about your mom 🙁 It sounds like she gave you the kind of Christmas movies are made of. Then, I laughed with the Vegas antlers and the mental image of Andy and your sister smacking each other. Lovely. We do! We’ve caroled in Virginia, DC, New Hampshire, and even Los Angeles. And we only got a dog set on us once. I guess I am glad I made you cry? Wow, that sounds wrong. My mother did give us great Christmases. And great memories. The head smacking makes me laugh every time I remember it. Glad you liked it. Ha, Ha! Did your sister and Andy keep those Vegas Antlers or re-gift them? I can see them being passed through your family year after year! Love the memories you shared. Merry Christmas to you and yours! Sadly, I think we put the antlers on our dog and he ate them. Excellent Christmas story! You were brilliant to get two sets of antlers so they could tease each other all night long. For two or three years my husband and I joined a caroling group. It was here in the Seattle area, but most of the members were Filipinos. Each year we spent several weeks practicing so we could all get the harmony right. The Filipino houses we visited were all expecting us. After singing four or five carols at each place, we were rewarded with a lavish spread of Filipino snacks and desserts. Fun! Your caroling group sounds WAYYY more professional than ours. You deserved all the goodies that were heaped upon you. Bahaha! I love how you got Andy with the antlers! Did he ever retaliate…??? That is a nice bus! I have to know…was your church a mega-church? Soccer trumps caroling. Soccer fans everywhere rejoice! I hope you had a great Christmas, Autumn! Thanks, Constance! Though I think Andy was delighted when the dog ate those antlers. I hope you had a nice Christmas, too, even though it must have been a tough one for you. Sending you a Zen hug. My Ex-Stepmother sent me Canadian maple cookies! I’d send you some of those if I could. More useful than hugs. But also more fattening.